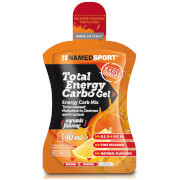 Hypotonic drink mix with electrolytes and energy giving carbohydrates. 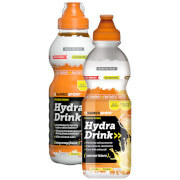 HydraDrink is a hydro-saline drink for athletes to help hydrate and replace the minerals lost during exercise. 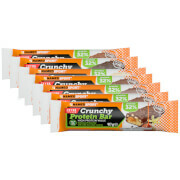 Carbohydrate and electrolyte solutions help support resistance performances during prolonged physical exercise. The isotonic formula with sodium provide a better hydration solution than just water alone. Hypotonic & Electrolyte drink mix 35 grams of fast energy giving carbohydrates Replaces lost mineral salts during intensive endurance performance Increases muscular efficiency With Magnesium (145mg) & Potassium (300mg) Includes 9 vitamins Zero fat Refreshing citrus flavour 20 servings per tub.